I’m just starting to develop this composition, so this is stage 1 of this piece. 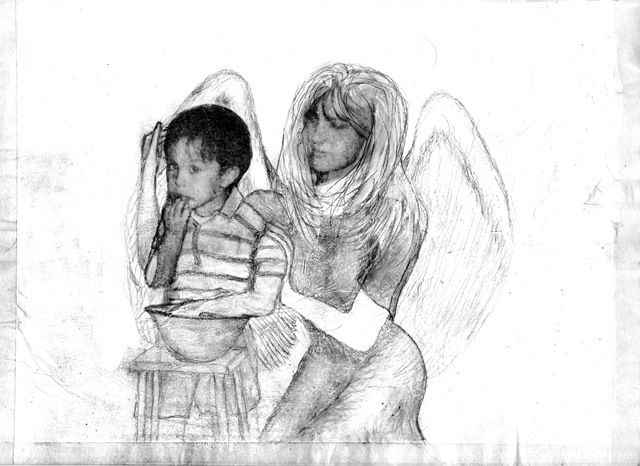 This is a portrait of me with my son, my first angel, when he was between 2-3 years old. I am about 23.